The Space and Missile Tracking System, previously known as Brilliant Eyes, was to consist of a constellation of small, low-cost lightweight, low-altitude satellites. SMTS is the low earth orbit component of the SBIRS architecture. Its unique capability to track missiles throughout their trajectory - not just during the "hot" boost phase - allows the system to effectively cue missile defense systems with accurate targeting data. It is particularly useful to National Missile Defense and against the longest range theater missile threats. SMTS also has the potential to address other SBIRS requirements, such as Technical Intelligence and Battlespace Characterization. A SMTS constellation optimized for national missile defense would consist of 21 satellites in three orbit planes. One optimized for all four SBIRS missions would contain at least 28 satellites in four orbit planes. Working in pairs for stereoscopic viewing, the satellites develop precise location, velocity and acceleration data on the missile warhead and associated debris or decoys. The currently planned interceptors can engage threats at ranges beyond the capabilities of their associated radars. Using data generated by SMTS, these interceptors can use that excess capability to negate attacking missiles far from friendly forces and population centers. Early intercepts allow SMTS to assess the attacking missile's status so that additional interceptors are launched only if needed. This shoot-look-shoot option reduces interceptor inventory requirements. Early intercepts made possible by SMTS extend the boundaries of the defended area some three to five times. SMTS can precisely cue ground radars; allowing them to limit operations until a hostile missile is within their range. This reduces the threat from homing anti-radiation missiles -- likely players on modern battlefields. The constellation provides global surveillance for ballistic missile launches within seconds. Early detection allows for precise launch point determination, enabling theater forces to destroy the launcher before more missiles can be fired. The initial baseline SMTS program planned a deployment decision in 2000, with a first launch in 2006. Acceleration of the SMTS deployment to the year 2002 in response to Congressional interest to support an early National Missile Defense capability, would have forced the FDS to be down-scoped to emphasize NMD only, not a system fully capable of performing all the IR missions. Congress mandated an accelerated SBIRS Low program deployment and the Department of Defense and the USAF committed to beginning this deployment in FY04. The SBIRS Low program provides the LEO satellite constellation for precision midcourse tracking capability critical for effective Ballistic Missile Defense. SBIRS Low will also improve capabilities for missile warning, technical intelligence, and battlespace characterization by complementing the performance of SBIRS Increment 2. Full constellation deployment is expected by mid-FY07 with mid-FY08 deployment completion. On 16 August 1999, TRW Space and Electronics Group, Redondo Beach, Calif., and Spectrum Astro, Inc., Gilbert, Ariz., were each awarded a $275,000,000 firm-fixed-price contract to provide for the Program Definition and Risk reduction phase of the Space Based Infrared System (SBIRS) Low Component. This phase was intended to result in preliminary system designs which can be used to develop, manufacture, deliver, operate, and sustain the Low Earth Orbit (LEO) component of the SBIRS System-of-Systems (SoS) architecture and perform extensive risk reduction and ground demonstration efforts. The SBIRS mission is to develop, deploy, and sustain space-based surveillance systems for missile warning, missile defense, battlespace characterization, and technical intelligence. Expected contract completion date was October 2002. 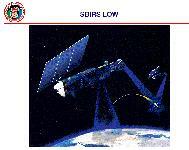 The SBIRS Low program was to be developed as part of the SBIRS SoS architecture. The acquisition of this architecture is proceeding in four increments as is described in the SBIRS Single Acquisition and Management Plan (SAMP). Increment 1 consists of the consolidation of the Defense Support Program (DSP), Attack Launch Early Report to Theater (ALERT), and Joint Tactical Ground Station (JTAGS) ground operations. Increment 2 refers to the actual deployment of the SBIRS High Block I. Increment 3 will add the SBIRS Low capabilities to the SoS architecture. Full constellation deployment is expected by FY08. In Increment 4, the SBIRS High/Low system will be updated as driven by the evolving environment to provide best value to the government. The baseline SBIRS architecture includes satellites in Geosynchronous Earth Orbit (GEO), Low Earth Orbit (LEO), and sensors hosted on satellites in Highly Elliptical Orbit (HEO). Ground assets include: a Continental United States (CONUS)-based Mission Control Station (MCS), a backup MCS (MCSB), a survivable MCS (SMCS), overseas Relay Ground Stations (RGSs), a survivable RGS (SRGS) and Multi-Mission Mobile Processors (M3Ps) with associated infrastructure; and training, launch and support infrastructures. The SBIRS Low Component for Increment 3 provides the LEO satellite constellation for precision midcourse tracking capability critical for effective Ballistic Missile Defense. SBIRS Low Component for Increment 3 will also improve capabilities for missile warning, technical intelligence, and battlespace characterization by complementing the performance of SBIRS Increment 2. The SBIRS Low Component for Increment 3 includes provisions to incorporate associated ground elements to provide any unique command, control, data processing, and external interface capability to the entire SBIRS ground segment. The JSC has conducted a risk assessment on SBIRS Low uplink and downlink frequencies for use of 20/44 GHz frequency bands at four grounds station locations. The SBIRS System of Systems (SoS) contractor would have total system performance responsibility (TSPR) for SBIRS Increment 3 performance against ORD requirements. The SBIR High contractor has total responsibility for the SBIRS high system specification for Increment 1 and 2. The SBIRS Low contractor has total responsibility for low system specification for Increment 3. Under Contract Number F04701-95-C-0017, the SBIRS High EMD contract, Lockheed Martin Missiles and Space Company (LMMS) has certain System of Systems (SoS) responsibilities which have some impact on the SBIRS Low Component competition, and will have access to certain proprietary data provided by the SBIRS Low Component competitors. As a part of the SBIRS High EMD contract, the Government and LMMS have agreed to a clause entitled "Avoidance of Organizational Conflict of Interest (OCI) Regarding the SBIRS Low Component Program Competition" (hereinafter the SBIRS High clause). Among other things in the clause, LMMS has agreed to provide all SBIRS Low Component competitors equal access to certain data, as defined in the SBIRS High clause and its implementing plan, and to not use any proprietary data except as permitted in the SBIRS High clause. The SBIRS Low Flight Development System (FDS) preceded the SBIRS Low Preliminary Development and Risk Reduction (PDRR) competition. The FDS phase, which lasted from 1996 to 1999, called for the development of two prototype satellites. The FDS spacecraft buses developed by Northrop Grumman Space Technology (formerly TRW Space & Electronics) and the FDS infrared sensor payloads developed by Raytheon are the basis for Flights 1 and 2 of Cycle 1 of the current STSS R&D phase. Northrop Grumman Space Technology (formerly TRW Space & Electronics) was one of two teams awarded a contract in 1999 to lead the Preliminary Development and Risk Reduction (PDRR) phase. The objective of the PDRR program was to perform a series of ground demonstrations that addressed specific risks in designing the full operational constellation. Phase I, Program Definition and Risk Reduction, of the acquisition development cycle is sometimes referred to as the Demonstration and Validation phase. Two contractor teams were producing "proof of concept" demonstration satellites, scheduled to be launched in FY 1999. The first of these two designs is called the Flight Demonstration System (FDS) and will consist of two satellites launched on a Delta II 7420 booster. The prime contractor for the FDS is TRW, Inc. with Ratheon Systems producing the infrared payload. The second of the two designs is called the Low Altitude Demonstration System (LADS) and will consist of one satellite launched from a Lockheed Martin Launch Vehicle and supplemented by a ground demonstration payload. The prime contractor for the LADS effort is Boeing North American with Lockheed Martin providing the spacecraft bus and launch vehicle. Once on orbit, these two systems will perform tests and experiments to validate the proof of concept for each design and provide data necessary to support a deployment decision milestone in the year 2000. After working closely with the U.S. Air Force for eight months, the TRW/Raytheon Space-Based Infrared System Low (SBIRS Low) team completed the first milestone in the program definition risk reduction (PDRR) contract for the low-Earth orbiting component of the nation?s next-generation early missile warning system in May 18, 2000. This first milestone, known as Requirements Review 1 (RR1), provided a basis for defining Ballistic Missile Defense support requirements as well as key performance parameters for technical intelligence. In conducting this task, the TRW/Raytheon team provided the Air Force with cost, performance and system architecture options to arrive at an optimal balance between mission utility and cost. The TRW/Raytheon team completed the program's second major milestone, the Inherent Capabilities Assessment (ICA), in July 2000. At that time, initial satellite launch was targeted for 2006. In October 2000 the TRW/Raytheon team reached a major milestone in the Space Based Infrared System (SBIRS) Low program with the completion of the System Requirements Review (SRR), the third in a series of three requirements reviews. The reviews represent significant accomplishments in the team's 38-month Program Definition and Risk Reduction (PDRR) contract. In April 2001 the TRW/Raytheon Space Based Infrared System Low (SBIRS Low) team progressed its system design effort with the successful completion of the second of three major program milestones, the System Design Review (SDR). In April 2002, the Missile Defense Agency [MDA] issued an Acquisition Decision Memorandum (ADM) ending the SBIRS Low Preliminary Development and Risk Reduction (PDRR) competition and naming Northrop Grumman Space Technology (formerly TRW Space & Electronics) as prime contractor for a team composed of the major contractors involved in the SBIRS Low PDRR effort. The ADM redefined SBIRS Low as the space-based sensor research and development (R&D) element of MDA's integrated BMDS and directed the implementation of a capability-based approach and Block build strategy focusing available assets on participation in the BMDS test bed as early as 2006/2007. In the new combined team approach, TRW subcontractor Spectrum Astro will play a key role developing spacecraft while Raytheon and Northrop Grumman will develop sensor payloads under competitive subcontracts to TRW. Prior to restructuring, TRW, with Raytheon as a principal team member, and Spectrum Astro, with Northrop Grumman, led competing teams to define requirements and complete conceptual designs for an operational SBIRS Low system. Program plans called for launch of the first SBIRS Low satellites (Block 06) in 2006-2007, to be followed by launches of upgraded satellites in subsequent blocks. In August 2002 TRW received an $868 million cost-plus award fee contract from the Department of Defense (DoD) Missile Defense Agency (MDA) to begin development of the Space-Based Infrared System Low (SBIRS Low) missile defense system element. In December 2002, SBIRS Low Research & Development (SBIRS Low R&D) was renamed Space Tracking and Surveillance System (STSS). Parallel to the Phase I effort, preliminary effort was underway to prepare for Phase II, Engineering, Manufacturing and Development (EMD), that was to begin in 2001. The Government intended to award the EMD phase contract through a rolling downselect procedure, but reserved the right to make no EMD contract award at all. The rolling downselect was to be culminated by a Call For Improvements (CFI) approximately 20 months after PD contract award. CFI responses were required approximately 22 months after PD contract award. The CFI would solicit competitive proposals for EMD. Unrealistically low proposed prices, initially or subsequently, may be grounds for eliminating a proposal from competition either on the basis that the offeror does not understand the requirement or the offeror has made an unrealistic proposal. After evaluating these proposals, the Government planned to select the EMD contractor and award two EMD contracts: a cost plus award fee contract for the RDT&E effort and a fixed price-type contract for the Production effort. 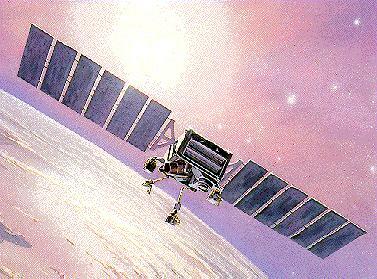 The EMD phase was to utilize data obtained from the Phase I demonstration systems and consist of a full and open competition between contractors that will culminate in early 2001 with the selection of a single contractor to develop the fully operational SBIRS Low system with a projected first launch in late 2004. DOD eventually restructured the SBIRS-low program because of the cost and scheduling problems, and it put the equipment it had partially built into storage. By mid-2002 the restructured SBIRS Low program placed TRW in the lead of an industry team with Spectrum Astro and Northrop Grumman and Raytheon as subcontractors. Under the plan, Northrop Grumman and Raytheon would continue to compete to provide the SBIRS Low payloads as the program progresses. Proponency for the SBIRS Low program was passed to the Missile Defense Agency in FY 02. The program was renamed as the Space Tracking and Surveillance System (STSS) and redefined in terms of a capabilities based acquisition.